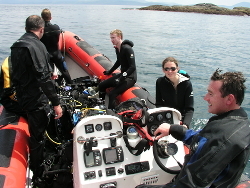 For qualified divers and snorkelers we run two to three boat trips per day from May till early October. Our passenger licensed rib cruises at 22 - 25 knots which makes the journey time to the majority of our dive sites only 15-25 mins. 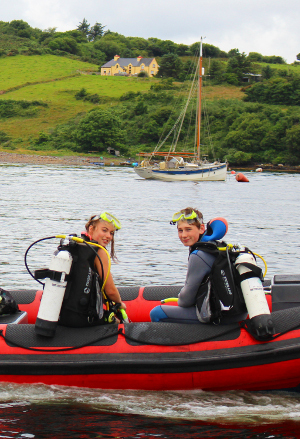 We have reefs, wrecks, offshore islands, pinnacles, wall dives and sheltered lagoons. We regularly see the prolific cetacean activity in Kenmare Bay. Bottlenose dolphins, Common dolphins, Porpoises, Fin whales & Minke whales. Underwater, the main dive season boasts visibility averaging 10 - 15 meters with water temperature averaging 16 degrees celcius. 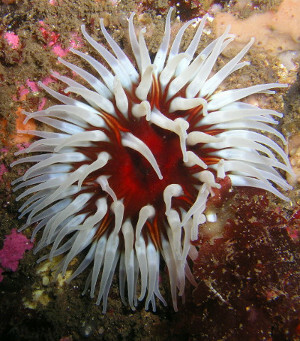 marine life is abundant here. We have a dry locker on board KBD1 for storage of u/w photography gear. Non divers & snorkelers are welcome on boat trips.